After uploading a fresh set of images, you probably want to start playing with them. Most photographers aren't interested (at that point anyway) in organizing, adding metadata, and other housekeeping tasks. 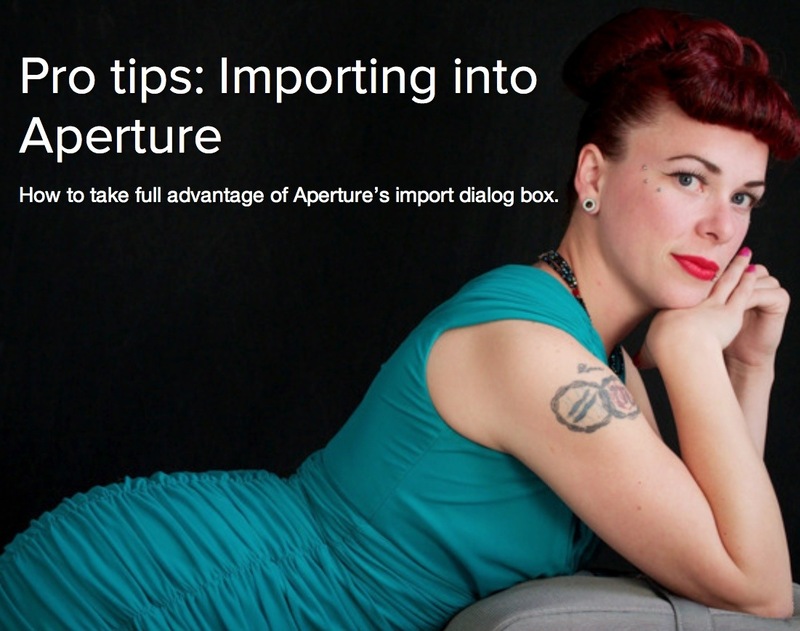 Thanks to the tools available in Aperture's import dialog box, you can let the app do that heavy lifting during the actual transfer. Then you can enjoy the fruits of your efforts right away. In my latest Macworld article, Import Like a Pro in Aperture, I explain how to separate Raw+Jpeg pairs so you can filter out one set or the other, add effects during import to improve the appearance of the photos, and take advantage of simple AppleScripts to automatically organize images within albums. Then, once the import is finished, you can start enjoying your latest shoot instead of wrangling with it.